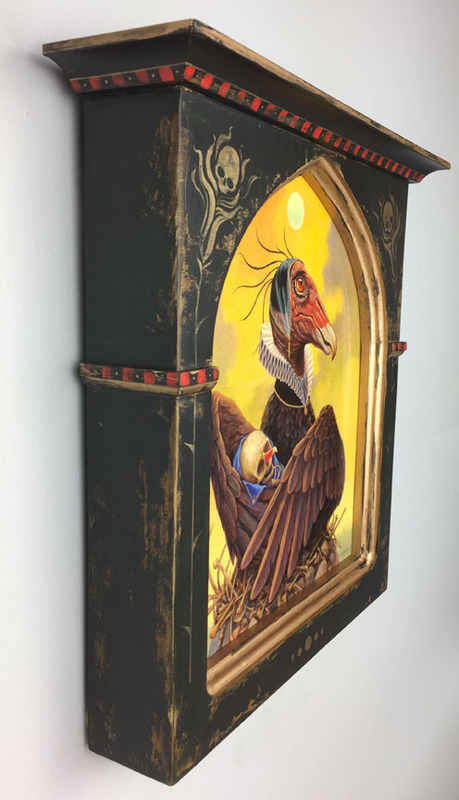 “The Surrogate” Acrylic on panel, artist crafted distressed wood frame. Inspired by stories of the changeling myth, seen from a different direction. 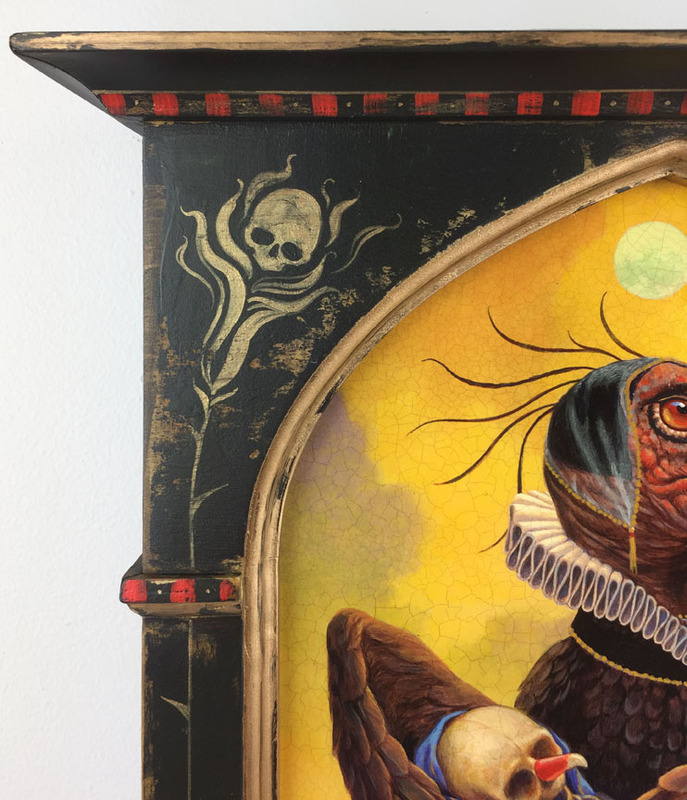 Part of Modern Eden Gallery’s show, “Loved to Death” curated by Audra K. owner of the San Francisco curiosity shop of the same name. Contact Modern Eden Gallery for purchase information. Sold.